"We were the leopards, the lions, those who take our place will be jackals hyenas, and all of us - leopards, lions, jackals and sheep - will go on thinking ourselves the salt of the earth." Prince Don Fabrizio Corberta is a noble aristocrat of impeccable integrity who has a great love for a way of life he understands must come to an end. He is a natural patriarch, a man who was born to have authority. Yet the Prince is greatly aware of his age and mortality, always having several spiritual conversations with his friend Father Pirrone, and is prepared to compromise his family name in order to preserve his families fortunes. Luchino Visconti's The The Leopard is one of the greatest and most beautifully shot Italian epics of all time, with many critics over the years calling it 'The Italian Gone with the Wind.' Legendary film critic Roger Ebert says, "The Leopard was written by the only man who could have written it, directed by the only man who could have directed it, and stars the only man who could have played its title character. The first of these claims is irrefutable, because Giuseppe Tomasi di Lampedusa, a Sicilian aristocrat, wrote the story out of his own heart and based it on his great-grandfather. Whether another director could have done a better job than Luchino Visconti is doubtful; the director was himself a descendant of the ruling class that the story eulogizes." In a brilliant twenty-five minute war sequence it presents Garibaldi's men fighting the soldiers of the Bourdbon government within the streets of Palermo. It's an extremely violent and chaotic battle sequence with half destroyed buildings, large bomb craters and multiple soldiers getting killed, with some enemy soldiers even being executed by a mob of Palermo civilians simply trying to defend their homeland. When Burt Lancaster was originally offered the part to play Don Fabrizio, Prince of Salina, it generated huge controversy with the Italian people. For an American star to play this Italian Sicilian Prince, was something a lot of Europeans were not originally happy about. There was a rumor that Visconti needed a big budget Hollywood star to make the film bankable, and at first Lancaster didn't believe he was right for the role. And now it's considered Lancaster's best performance next to J.J. Hunsecker in The Sweet Smell of Success. Burt Lancaster brings to the role of the Prince Don Fabrizio Corberta an extraordinary physical presence and also a remarkable sense of the difficulty of growing old and losing political prestige. Director Martin Scorsese states, "The Leopard is was one of the greatest film's I've ever seen, and it's a film I live by. Every day, it's a part of my life." The Leopard is known for its extraordinary ballroom sequence that lasts 45 minutes. "This is a set piece that has rarely been equaled," writes the critic Derek Malcolm, and critic Dave Kehr called it "one of the most moving meditations on individual mortality in the history of the cinema." Lancaster embodies the role of a prince who is in mourning of a lost past, as we watch him drift through room to room and carefully study his facial expressions and mannerisms which project everything about his thoughts, fears, and sadness of the last glorious celebration of the dying age of the social order. The graceful waltz between the Prince and Angelica is one of greatest moments in Italian film and is tenderly shot by Giuseppe Rotunno, as we see the prince's high style and perfect grace, knowing that in the end, he is leaving a world that we are still living in. The Leopard is set in 1860 Sicily and times our changing in the aristocrat world where the country is slowly transcending into a Democracy. The first shot of the film begins with the Prince of Salina; (Burt Lancaster) a noble aristocrat of impeccable integrity, and his family praying in the church. Suddenly people rush in and tell the Prince that there is a dead soldier that has been found in the garden. When the Prince gets a letter from Duke Malvica it reads, "Dear Fabrizio, read the dreadful news in the paper, the Piedmontese have landed. We are all lost. My family and I will take refuge on a British warship tonight. You will surely wish to do the same. May God save our King." The prince then reads the paper out loud for everyone to hear: "On May 11th, an act of flagrant piracy culminated in the landing of armed men at Marsala. The band numbers about 800 and is led by Garibaldi." Everyone knows that means that the revolution with Garibaldi and his troops are now drawing near towards their home in Sicily, and the days of the ancient order are numbered. The prince has a wife named Maria Stella, who starts crying when hearing the news and leaves the room yelling, "Its war!" The Prince has a close partner and longtime friendship with Father Pirrone in which they discuss politics and religion. That evening when dropping Father Pirrone off at the church the Prince heads down in the city slums of Palermo to see a certain whore whom he sees from time to time. "My Prince! "she says when arriving. The Prince has one son and three daughters but its his nephew Tancredi (Alain Delon, most known for his role in Le Samourai,) that the prince wants to one day pass on his family genes. That next morning Tancredi asks him where he was the other evening. When the Prince says he was out with friends Tancredi says, "Not like some people I know who went down to Palermo for some fun. A fine thing, at your age, and a priest with you too." Tancredi came to see his uncle to say goodbye because he's going to leave and join Garibaldi's army on the hills of Figuzza. Tancredi is an impulsive young man who believes Garibaldi and his army will be victorious; and he wants to be on the winning side. The Prince is upset at his nephew's sudden devotion to want to join people who were potential traitors of the family; saying, "those people are mafiosi and troublemakers! A Falconeri should stand with us...behind the King!" His nephew answers, "But which King? For things to remain the same, everything must change." Later in his office Father Pirrone questions the Prince and his infidelities by saying, "Come to confession. The power of confession lies not only in telling our sins, but in repentance." The Prince gets angry and says, "I know, I know!" The Prince tells him some fault should be on his wife who he respects and is loyal to but she isn't romantic with him. Father Pirrone apologizes for being to blunt and remains in his good graces. There's a twenty-five minute war scene that shows Garibaldi's men fighting the soldiers of the Bourdbon government in the streets of Palermo. Tancredi is involved in this battle and it's an extremely disturbing and violent battle scene with multiple soldiers getting killed or executed. There's even a scene of a group of women who live in Palermo attacking one of the enemies and eventually have him hung in the streets. It's an amazingly shot scene of half destroyed buildings and large bomb craters with several dead soldiers and civilians. With multiple flags it's hard to see whose side is with who in which I think is intentional; because it seems people are always joining new sides and changing different uniforms to which ever side has the greater advantage of being the victor. Fortunately Tancredi survives and returns as a member of Victor Emmanuel who were victorious in the battle believing the old order is now overturned and a new Italy is born. The prince decides it's best for his family to move out in the country and into the town of Donnafugata, where he is welcomed by Don Calogero, the mayor of the town who has gotten rich off several land investments because of the war. When Tancredi finally returns home he is hailed a hero of Victor Emmanuel's army and only had his eye slightly injured in the war. When in Donnafugata the Prince clearly doesn't like Don Calogero and thinks he's merely a buffoon, but because of his new-found wealth and power; he believes a liaison would help him between the mayor's money and the prince's family. One evening while in the bath Father Pirrone walks in and is embarrassed. The Prince tells him, "You're used to naked souls. Naked bodies are far more innocent." Father Pirrone is there to ask him that one of his daughters Mrs. Concetta is in love with Tancredi but the Prince finds it young adolescent nonsense. He says, "A man of 45 could still consider himself young, until he realizes he has children old enough to love." When he asks Father Pirrone if Tancredi proposed he is told he hasn't; but Concetta is quite certain he will. When the Prince one evening invites the mayor Don Calogero over for dinner he secretly scoffs at him with Tancredi throughout the evening. Don Calogero arrives not with his wife; (who always seems to be unpresentable) but his daughter instead. Her name is Angelica, played by the very beautiful Claudia Cardinale, the Italian actress known for films like 8 ½, and Once Upon a Time in the West. Right when she walks in; not only is Tancredi astounded by her great beauty but you can tell the Prince is as well. During dinner; Tancredi entertains everyone with his war stories in Palermo and of Victor Emmanuel. Mrs. Concetta is offended by his talk on politics, (probably because she is jealous because of his sudden attraction for Angelica.) She decides to leave the table saying, "You wouldn't have spoken like that once." He replies, "You're wrong, my dear. I've always spoken like that." In no time whatsoever Tancredi falls in love with Angelica, and wants to marry her with the Prince having some misgivings and doubts about the idea. One morning the Prince is out shooting with one of Don Calogero's assistants and they at first discuss present politics and Don Calogero's mysterious wife who is never seen in public and only goes out to go to mass in the early mornings. Because of Tancredi's recent feelings for Angelica, The Prince asks Don Calogero's assistant what kind of man Don Calogero is. The assistant says, "The truth, Excellency, is that Don Calogero is very rich, and very influential too. Wherever he passed secret groups were formed, to prepare the way for those who were to come. He's a scourge from God! And this is only the beginning of his career. In a few months he'll be deputy in the Turin parliament. He'll end up the largest landowner in the providence. That's Don Calogero. A man of the future." That night when the Prince tells his wife about Tancredi wanting to marry Calogero's daughter; his wife starts crying (as she usually does) saying, "its outrageous! I'd so hoped he would marry Concetta! He's a traitor, like all liberals of his kind! First he betrays his King and now us!" The Prince says, "Enough! Angelica may be in love with Tancredi. She has a lot of money, Stella. Our money mostly, but well administered by Don Calogero...and Tancredi needs that. He never said a word to Concetta, so he's not a traitor. He follows the times, that's all, as much in his politics as in his private life." After some serious thinking, the Prince agrees that Tancredi's marriage with Angelica's family would be the best decision for the future inheritance and well-being of his family. When asking Don Calogro for his daughter's hand in marriage for his nephew; Don Calogro gladly accepts it as an honor. You then see Tancredi and Angelica move into their beautiful new house on her father's estate of Settesoli and in the meantime the planning for their grand wedding is being made. There is a romantic sequence of Tancredi and Angelica playfully kissing and teasing one another as they run through the abandoned rooms of their new home. "Tell me, Chevalley...what does being a senator mean? What is it really? A title of honor, like a decoration or..."
"The senate is the highest chamber of our kingdom. It examines, discusses, approves or rejects the laws proposed by the government for the country's progress. When you become Senator you will help us hear the voice of this lovely country of yours that is now coming into view of the modern world, with wounds to heal, desires to be granted." "Listen, I'm grateful to the government for thinking of me. If it were a mere title of honor, to put on a visiting card, I should be pleased to accept. But no...I cannot accept. Here me out. I am the member of the ruling class, hopelessly linked to the past regime and tied to it by chains of decency...if not affection. I belong to an unfortunate generation, straddling two worlds, and ill at ease in both. And what is more, I am utterly, without illusions. What would the senate do with an inexperienced legislator who lacks the faculty of self-deception, essential requisite for those who wish to guide others? No...I cannot lift a finger in politics. It would get bitten off." After the prince of Salina turns down Chevelley's generous offer Chevelley gets in his coach and heads on out, as the prince quietly whispers softly under his breath, "We were the leopards, the lions. Those who will take our place will be jackals, hyenas. And all of us...leopards, lions, jackals, and sheep we'll go thinking ourselves the salt of the earth." Finally the grand wedding arrives and it is a last glorious celebration of the dying age of social order; as Visconti cast members of noble old Sicilian families as the guests, and in their faces, we see a history that cannot be acted, only embodied. The orchestra plays Verdi. The young people dance on and on, and the older people watch carefully and gauge the futures market in romances and liaisons. This breathtaking ballroom sequence reminds me of the wedding scene in the beginning of Frances Ford Coppola's epic The Godfather, but of course with a totally different context and tone. Through all of this celebration the prince drifts through room after room like an invisible man watching the young generation slower take over the old. In this last hour of the wedding his facial expressions, mannerisms, and eyes say everything that the prince is thinking and feeling. There is one humorous scene where he walks in a bedroom full of young female girls jumping up and down on a bed. When asked by one of his companions if anything is wrong he just says, "I was thinking that these frequent marriages between cousins do not improve the stock. Look at them, they look like monkeys ready to chamber up the chandelier." While everyone during this wedding is dancing and celebrating life; the Prince sits in an empty room isolating himself staring up at a painting of an older man dying on his death-bed; with the Prince himself having thoughts on his upcoming death. Finally in the most touching scene of the film, Tancredi and Angelica find him all alone and Angelica asks the prince for a dance. He smiles and says to her, "I have never had a more tempting proposal. Thank you for making me feel young again. I accept. Grant me the first waltz." After the waltz the prince Don Corberta walks away and for a moment he looks at his aging self in the mirror and a tear slowly runs down his face. This is a man who knows his time has now come to an end; and he must gracefully take a step back and let newer generations now take over from here. The prince decides to leave the wedding early and walk home alone, and during his walk he decides to get on his knees in the street and make a prayer. Giuseppe di Lampedusa’s novel The Leopard had a hard time finding a publisher but was well-known by the time Luchino Visconti began working on his film of the same name. The book appeared in Italy in 1958 and was subsequently translated into many languages—a German version can be seen lying around in Visconti’s section of the four-part film Boccaccio ’70, released in 1962 (the other episodes were directed by Vittorio De Sica, Federico Fellini, and Mario Monicelli). Gradually, the fortunes of the two works became entwined, so that they now seem commentaries on each other in different mediums, rather than the source for a film and the adaptation of a novel. Many have remarked on the affinities between Lampedusa and Visconti, with their aristocratic interest in fading splendor and dying worlds, and there is no doubt that the film is intimately faithful to the spirit of the novel—even when it shifts time lines and details of dialogue, and inserts a whole battle sequence. A movie audience, Visconti said in an interview, needs to see Garibaldi’s men fighting the soldiers of the Bourbon government in the streets of Palermo, and to see Tancredi Falconeri (Alain Delon), the nephew of the prince of Salina (Burt Lancaster), fighting alongside the revolu­tion­aries, in order to perceive what is at stake—“the disruptive power of the historical conjuncture and the real risk Tancredi is running” as the old order is overturned and a new Italy is born. Both novel and film are ironic, elegiac, stately, and dedicated to a lux­urious mourning of a lost past. But the loss and the past are different in each case, and the film is a good deal more political—more political than the novel and more political than it may look at first sight. The most magnificent moments in the book involve a movement that Visconti does not make, and that a film, perhaps, cannot make persuasively: the flash-forward in time, the long look at the future beyond the story currently being told. 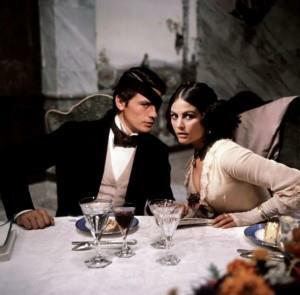 We learn, for example, that the days of the engagement of Tancredi to Angelica (Claudia Cardinale), the daughter of the rich and scheming upstart Don Calogero (Paolo Stoppa)—a sequence of games and kisses played out in the dusty and abandoned rooms of the prince’s seemingly endless house at Donnafugata—were the best days of their lives, because they were a time of unsatisfied, and therefore ever present, desire, to be matched by nothing in their later careers: “Those days were the preparation for their marriage, which, even erotically, was not a success; a preparation, however, in a way sufficient to itself, exquisite and brief; like those melodies that outlive the forgotten works they belong to.” The long view doesn’t destroy the short view, but it draws out its sheer fragility. Visconti’s film memorably records this romance and lingers with the lovers in the old rooms of the vast and ancient house, but the director has nothing to say about their future failures: his eye is firmly on the present, on the allure of the couple, on Tancredi’s slightly too easy charm, on Angelica’s slightly too petulant beauty. The impecunious Tancredi, with the prince’s blessing, is marrying money; more than that, he is buying his way into a position of influence within the new Italy. In the novel, the prince thinks Tancredi’s behavior is a little “ignoble” but admires the young man’s grasp of historical reality and allows his affection for him to quiet his scruples. The film identifies less closely with the prince’s point of view—it is about him, so to speak, but not an endorsement of his thinking, and if he is its visual center, Tancredi is the focus of its most troubling questions. It is through the modulations of Tancredi’s position, through his charm and his ruthlessness, that we understand the subtle political register of the film. The convergence and divergence of Lampedusa and Visconti are par­ticularly interesting here. Lampedusa was a Sicilian aristocrat deeply skeptical about progress; Visconti was a northern aristocrat deeply dedicated to it. But Lampedusa was too thoughtful a conservative to believe he could simply cling to the past, and Visconti was too intelligent a radical to believe all changes were for the better. 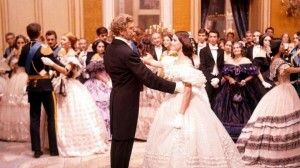 Burt Lancaster brings to the role of the prince an extraordinary physical presence but also a remarkable sense of the difficulty of growing old and losing political prestige—his graceful waltz with Angelica in the film’s fabulous ball scene, tenderly photographed by Giuseppe Rotunno, is the last dance of a whole social order. In this interpretation of the prince, we see high style and perfect grace, but in the end, he is leaving this world and we are still living in it. Some critics have felt that the film is too much about the twentieth century, rather than the nineteenth—intimately, if indirectly, concerned with Italy’s relation to Europe as a whole in the early 1960s, with that later version of a conflict between a modernizing present and a vanishing past. Visconti himself, however, doesn’t make the distinction. He said that, throughout the making of the film, he asked himself whether the opportunistic Tancredi, if he had been born later, would have become a fascist. This is a question, not an answer; a fear, not an accusation. Tancredi’s charm and style are real, as is his deep affection for his uncle. But the question clearly haunts the whole film. The query is posed most sharply through a sequence of cuts and juxtapositions, as befits a great movie. As the prince says good-bye to Chevelley (Leslie French), the representative of the parliamentary government of the united Italy, who has offered him a place in the newly constituted Senate—he has politely refused—he agrees that changes are coming but says they will be for the worse. “We were the leopards, the lions,” he says. “Those who will take our place will be jackals, hyenas.” Dismissive enough, but the prince goes on: “And all of us—leopards, lions, jackals, and sheep—we’ll go on thinking ourselves the salt of the earth.” Chevelley’s coach leaves, and the next shot shows a hot Sicilian countryside, with laborers vigorously digging. Over this image, we hear the rising sounds of an orchestra, and the next shot takes us to an elaborate ball in a palace in Palermo. The implication is that once the leopards and the jackals have started mingling, it will be hard to tell who is who. It’s clear that Sicily won’t change much, but the jackals will certainly do well for themselves. More importantly, two extraordinary worlds will have died: the old order, represented (at its best) by the prince, and revolutionary Italy, represented by the now wounded and sidelined Garibaldi. At the ball, we hear of Garibaldi’s defeat by the soldiers of the very government he helped put in place, and of the promised execution of several of his supporters at dawn. A good thing, too, Tancredi, the ex-revolutionary, says: “It’s true, the new kingdom needs law and order.” He is lying on a sofa as he says this, the image of elegance and freedom from care. In the last images of the film, dawn has come, the ball is over. On his way home, the prince kneels in the street as a priest hurries past, taking the sacraments to a dying man. In a coach, Tancredi, Angelica, and her father look tired and happy as they hear the sounds of the firing squad close by. The prince rises and walks slowly away from us. “For things to remain the same, everything must change.” Spoken near the beginning of the film, the famous catchphrase simply sug­gests adaptation. For the prince and his class, a modified monarchy is better than a republic. As it echoes through the film, the phrase comes to mean something very different and gets close to the heart of Visconti’s criticism of modern Italy. It means that anything goes as long as we get to stay at the top of the political pile—whoever “we” are. This is not the prince’s world, but it is Tancredi’s. “You wouldn’t have spoken like that once,” one of the prince’s daughters says to Tancredi at the ball, when he talks so casually of the need for (and the cost of) law and order. “You’re wrong, my dear,” he answers. “I’ve always spoken like that.” And he has. He has changed his opinions and allegiances, but he has always spoken like a man who knows what’s necessary—for him and, as Visconti would say, for the thousands like him to be found in many times and many places. Italian director Luchino Visconti was an aristocrat, a homosexual, a Marxist, and a director of theater and opera, becoming one of the major influences in the Italian neo realism movement. Visconti started out with a noir film called Ossessione, which is an Italian retelling of James M. Cain's pulp crime classic The Postman Always Rings Twice. Then he directed La terra trema which is a neorealism classic that explores the lives of fishermen at the mercy of greedy wholesalers in rural Sicely. Senso is a tragic story about an Italian Countess who betrays her entire country for a self-destructive love affair with an Austrian Lieutenant, and his swan song Death in Venice tells the poignant story of a composer utterly absorbed in his work. Rocco and His Brothers is one of Visconti's best films and one of the great films of the Italian neo realism movement. It is a three hour epic that is set in Milan, chronicling the story of an immigrant family from the South and its disintegration in the society of the industrial North. And yet it was Visconti's love for tradition and of the slow dying of aristocracy which was explored in his epic masterpiece The Leopard, which is looked at by many critics as the Italian Gone with the Wind, and one of the greatest films ever made. The Leopard was based on a novel by Giuseppe di Lamedusa who had a difficult time finding a publisher for the novel. When the book was released in 1958 it was translated into several different languages. A german version of the novel can be seen in a scene from Visconti's film Boccaccio '70, which was released in 1962. Eventually Visconti and Lamedusa joined together to make the film and the film can be looked at as a political commentary on the two different mediums and the two creators behind it. Many have discussed the backgrounds of Visconti, and Lampedusa and even though the film is very similar to the novel it also is very different. The film changes parts of the dialogue, the timeline of the story and even the large battle scene in the streets of Palermo was added personally by Visconti. Visconti said in an interview, "a movie audience needs to see Garibaldi's men fighting the soldiers of the Bourbon government and to see Tancredi Falconer, the nephew of the prince of Salina, fighting along side the revolutionaries, in order to perceive what is at stake...the disruptive power of the historical conjuncture and the real risk Tancredi is running as the old order is overturned and a new Italy is born." The novel and the film have similar themes which involve the mourning of a lost generation but the film is much more political than the novel. Visconti decides against one of the biggest moments in the book that involve a flash forward after Tancredi and Angelica's wedding. In the novel we learn that the romantic sequence of Tancredi and Angelica kissing and playing in the abandoned rooms of the prince's house in Settesoli were in fact the most happiest days in those two young lovers lives. In fact they are very unhappy in their marriage years later in the novel but Visconti decides to not have the audience witness that story in the film and to just remember them when they were young, beautiful and in love. Those changes are very interesting since Lampedusa was a Sicilian aristocrat who was deeply skeptical on progress and Visconti was a northern aristocrat who was deeply dedicated to it. Author Michael Wood says, "Lampedusa was too thoughtful a conservative to believe he could simply cling to the past, and Visconti was too intelligent a radical to believe all changes were for the better." Several critics thought the film resembled more of Italy in the twentieth century instead of the nineteenth century. Some even believed the film was about Italy's relation to Europe in the early 1960s and more about a modernizing present and the vanishing past. Visconti had said that during the filming of The Leopard he asked himself whether the ruthless and opportunistic Tancredi if born in the present time would have became a fascist. All the themes of the film and what Visconti's trying to say which involve the dying age of social order are all summed up with the extraordinary performance of Burt Lancaster in this last hour. Yes, in the Italian cut (which is the one to see) where his voice is dubbed by an Italian actor named Corrada Gaipa. But once you get used to the dubbing, Lancaster becomes the Prince of Salina; a man conflicted of getting old and losing political prestige. There's a scene later in the film where Tancredi is talking casually on his thoughts on law and order and the prince's daughter says to him that he wouldn't have spoken like that once. Tancredi says, "you're wrong, my dear, I've always spoken like that," and I believe he has. This is the heart of what Visconti is saying about the modern Italy and that this new world thats arriving is no longer the prince's world but Tancredi's. Tancredi has changed his opinions and alliances but what he says is necessary for him, his future wife and family, and the safe and security of his family name. Even though the film is largely about the prince it is more about Tancredi and his personal and political changes as a soldier and as a human being. For the prince of Salina and his own class, a monarchy is better than a republic, and yet we can greatly disagree with how he thinks; and at the same time we can also understand why he would think the way he does. Lampedusa's novel sees the prince so sympathetically and proud on his personal believes on the old ways of the aristocracies and yet Visconti was considered a Marxist who believed morally that the aristocracy's did indeed exploit the working class; and it's because of these two different ideologies that the film works so perfectly. Lampedusa was brilliant in letting Visconti direct the picture of his novel because Visconti is one of the greatest directors to come out of Italy who can be compared to the greats of Federico Fellini and Vittoria De Sica. His first big hit was a noir like murder film about a man who plans to kill the husband of a woman he loves in Ossessione. After that Visconti made some of the best films in his career including La Terra Trema which is about fishermen in Sicily who live at the mercy of the greedy wholesalers. A masterpiece and a personal favorite of mine is Rocco and his Brothers which is about four brothers in Milan who each look for a new way of life when a prostitute comes between each other. Senso is a story that involves a romance between an Italian Countess and a greedy manipulative Austrian Lieutenant. Death in Venice is considered Visconti's swan song which tells the story of a composer utterly absorbed in his work, arrives in Venice and meets a young man by whose beauty he becomes obsessed. The Leopard is probably Visconti's greatest achievement besides his neo realism film Rocco and his Brothers and the themes in The Leopard of a fading culture dying out with a new one eventually replacing it, was one many Italians related too and still do. 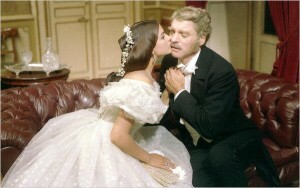 The film has circulated in numerous versions with Visconti's first cut which was around 205 minutes long, but this was regarded as too long so he cut it down to 185 minutes for the official release, and regarded this version as his preferred length. The version shown in the English-speaking world was a 161-minute dubbed version edited by 20th Century Fox using Burt Lancaster's real voice. Martin Scorsese helped finally get the original 185 min version restored and released again and it is now available on the Criterion Collection DVD and Blu ray, and it looks magnificent. The graceful waltz between the Prince and Angelica is one of greatest moments in Italian film and is tenderly shot by Giuseppe Rotunno. Critic Roger Ebert writes, "It's a powerful scene watching the young generation and the old dancing simultaneously, each aware of the other sexually and politically. And for just a few short moments the prince feels young again, thinking he could have made her his wife and the mother of his children, if not for the accident of 25 years or so that slipped in between them. But he knows that, and she knows that. And yet of course if they were the same age, he would not have married her, because he is Prince Don Fabrizio and she is the mayor's daughter. That Visconti is able to convey all of that in a ballroom scene is miraculous and emotionally devastating, and it is what his movie is about. " 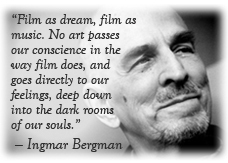 Critic Derek Malcolm says, "This is a set piece that has rarely been equaled," and critic Dave Kehr called it "one of the most moving meditations on individual mortality in the history of the cinema." "We were the leopards, the lions. Those who will take our place will be jackals, hyenas. And all of us...leopards, lions, jackals, and sheep we'll go thinking ourselves the salt of the earth." Those worlds the prince of Salina whispers softly under his breath after Chevelley's coach leaves implicates that once the jackals start mating, in time it will be difficult to be able to tell people apart. More importantly is that two worlds would die which is the old order and the original Italy; which is now represented by Garibaldi. Because of all of these changes that is beyond the prince's control; is probably a large reason why he turned down such a prestigious honor of being a Senator of United Italy. What makes The Leopard the great epic masterpiece that it is can be contributed to Burt Lancaster's electrifying performance. Film critic Roger Ebert says, "The prince is felt so sympathetically that we share his regrets for his dying culture, and the prince is such a proud and strong person, so respectful of his tradition and continuity that he compromises in order to save his family, and we share his remorse, and sadness." Roger Ebert interviewed Burt Lancaster years before the full cut was restored and released and Burt Lancaster discussed what he thought of his role in the film. "It was my best work. I bought 11 copies of The Leopard because I thought it was a great novel. I gave it to everyone. But when I was asked to play in it, I said, no, that part's for a real Italian. But, lo, the wheels of fortune turned. They wanted a Russian, but he was too old. They wanted Olivier, but he was too busy. When I was suggested, Visconti said, 'Oh, no! A cowboy!' But I had just finished 'Judgment at Nuremberg,' which he saw, and he needed $3 million, which 20th Century-Fox would give them if they used an American star, and so the inevitable occurred. And it turned out to be a wonderful marriage." Near the end of the film prince Don Corberta looks at his aging self in the mirror and a tear slowly runs down his face. This is a man who knows his time has now come to an end; and he must gracefully take a step back and let newer generations now take over from here. The prince decides to leave the wedding early and walk home alone, and during his walk he decides to get on his knees in the street and make a prayer. I always had wondered what The Prince was praying about at the end of the film; and then I realized I didn't need to know. The Prince deserves this private moment for himself and himself alone. "You know what is happening in our country? Nothing... simply an imperceptible replacement of one class for another. The middle class doesn't want to destroy us. It simply wants to take our place... and... very gently."